The following discloses our information gathering and dissemination practices for MusicSeek.net. The only ways in which MusicSeek may receive personally identifiable information about you is if you knowingly and willingly provide the information by contacting us using email or through one of our service areas, including, but not limited to, contests and promotions. In such areas, the information you disclose is done so knowingly and willingly, at your sole discretion. The personally identifiable information you disclose is optional, and is normally required so as to effectively enter you into any contest we may offer or to reply to your email and correspondence. MusicSeek will never share the aggregate results of the data it receives with advertisers or any other forms of internet activities. We are committed to user privacy protection and will keep everything secure as stated in the Data Protection Act, 1984. 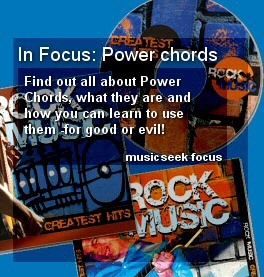 MusicSeek.net links to other sites in order to provide you with additional useful information and services. Third party Internet sites and services accessible through MusicSeek.net have separate privacy and data collection practices, independent of us. MusicSeek.net has no responsibility or liability for these independent policies or actions. Please be careful and responsible whenever you're online. We encourage you to look for and review the privacy policies of any third-party site you visit. The standard data we collect about our users is not personally identifiable information, meaning it is not information which identifies them as an individual. By using any of MusicSeek services or reading its content, you agree that you understand the nature of this data collection. When you log onto MusicSeek, certain standard information is normally collected by our servers. This information may include, but may not be limited to, the location or website from which you came, the time you spend on parts of MusicSeek or its related sites, the software you use to browse the Internet (for example Netscape or Microsoft Internet Explorer), the amount of information you access from MusicSeek and quantity of pages downloaded. This data collection is standard and common to most websites on the Internet. This information does not identify you as an individual, and none of this information will be disclosed in any form that is specific to you as a user of MusicSeek, unless otherwise stated. MusicSeek will not otherwise knowingly retain and/or disclose this standard data other than in an aggregate forms. It is a MusicSeek policy that we will not disclose personally identifiable information you may choose to submit to MusicSeek to any third parties. We follow a strict policy of no 'spam' and no sales of personally identifiable information. We welcome users of all ages to our content and services. If you are under the age of thirteen (13), we do, however, specifically request that you have the permission of your parents or legal guardian to view any content at MusicSeek and to take part in any and all services we offer, as we cannot and will not be held responsible for any information received or disclosed by our users. We respect that you may wish to monitor the content and services your child uses on the Internet. If you wish for your child to be removed from any and/or all MusicSeek services, please send an email specifically requesting your wish to admin@MusicSeek.net. Please note, however, that while we will subsequently use our best endeavours to prevent your child from using our services, we cannot and will not be held responsible for access to our services your child may subsequently gain, as this is out of our control. If you have any questions about this privacy statement, the practices of this site, or your dealings with this Web site, you can contact privacy@MusicSeek.net.